If you need any type of activewear or sneakers in the next coming weeks not that it’s finally getting to be nice out, Reebok is giving you 25% off their outlet items. Use the code OUTLET25 for the discount, including workout gear and basically any kind of sneaker you could ever need. 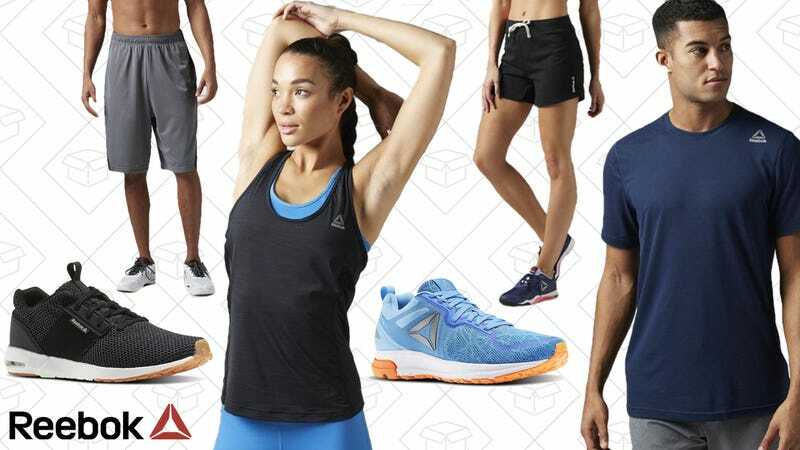 Or, if you don’t find anything in the Outlet (or you have a pair of full-price sneaks you’ve been eyeing), Reebok is also doing a Spend and Save sale. Get $10 off when you spend $75, $20 off when you spend $100, or $30 off when you spend $130 with the code SAVEMORE.